A society requires different types of organizations. These organizations are established to achieve specific objectives. In order to achieve the stated objectives, an organization requires utilizing its human, financial and other resources in the best possible manner. For the proper utilization and control of such human, financial and other resources, the organization requires accurate and reliable financial information. 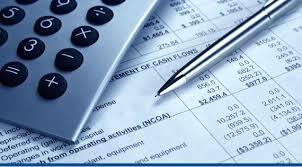 Books of account and financial statement are the main sources of financial transaction. These books of accounts and financial statement record summarize and report the financial transactions in a systematic way. Such systematic record of financial transactions helps to supply accurate and reliable financial information to all concerned parties of the business for making appropriate financial decisions. A business organization performs a large number of financial transactions on a regular basis. These financial transactions relate to buying, paying expenses, receiving incomes, acquiring assets, meeting liabilities and collecting dues. The accountant or owner of the business cannot keep in memory all these transactions. So, such financial transactions are recorded systematically in a set of the book for future reference. To keep permanent records of all the financial transaction of a business. To help to assess the correct amount of tax. To supply information to the concerned parties whenever required. To help disclose the true financial position of the business on a given date. To help to determine correct profit or loss. To classify transactions into real, personal and nominal account. To disclose the true financial position of the business on a particular date. To communicate the information relating to operating results and financial position of the business to all concerned parties. Financial Accounting: Financial accounting is that branch of accounting which is concerned with recording the financial transaction in a systematic manner. It further involves in classifying, summarizing and presenting financial information in a suitable form. It also communicates the financial information to the internal users like departments and management and external users like shareholders, creditors, suppliers, customers, government, etc. It is maintained compulsorily by all types of business. Cost Accounting: Cost accounting is that branch of accounting which is concerned with collecting and recording the information relating to the costs. Such costs are incurred in producing products or reading services during a given period of time. It is further concerned with classifying summarizing and analyzing the cost information with a view to determine products cost accurately. It not only determines the total cost of a product but also identifies the different elements of cost like material, labor and overhead. 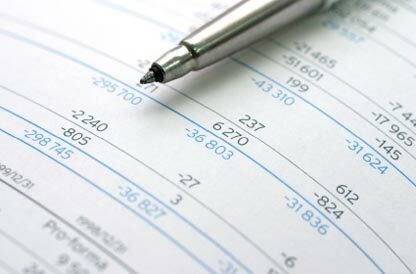 Cost accounting regarded as an effective tool for managerial planning and decision making. Management Accounting: Management accounting is that branch of accounting which is concerned with presenting the accounting information to the management for the daily activities of a business. It helps the management to achieve the departmental and organizational objectives. It assists management in carrying out its functions like planning, decision making and controlling effectively. Organizations are established to achieve specific objectives. In order to achieve the stated objectives, an organization requires utilizing its human, financial and other resources in the best possible manner. For the proper utilization and control of such human, financial and other resources, the organization requires accurate and reliable financial information. Book- keeping is the art of recording business dealings in a set of books. Accounting is border than book-keeping. Book-keeping is a part of accounting. Book-keeping is concerned only with the systematic record of financial transactions, but accounting is concerned with the act of recording, classifying and summarizing the financial transactions of a business to know its profit or loss and financial position. State the objectives of book-keeping. According to J. R. Batliboi, "Book- keeping is the art of recording business dealings in a set of books." According to Rosenkamp, "Book- keeping is the art of recording transactions in a systematic manner." From the above definitions, it is clear that book-keeping is concerned with the act of keeping permanent records of day to day financial transactions in a set of book in chronological order. Liability accounts will normally have __________ balances. In order to achieve the stated objectives, an organization requires utilizing its ______ in the best possible manner. Book keeping is the science and art of correctly recording in books of accounts, all those business transactions that result in the transfer of money or money worth." Who gave this definition? "Book- keeping is the art of recording business dealings in a set of books." Who gave this definition? Any Questions on 'Introduction to Book Keeping and Accounting '?